Real, beautiful snakeskin sits underneath a clear oval quartz cabochon, surrounded by a handmade bezel surrounded by . 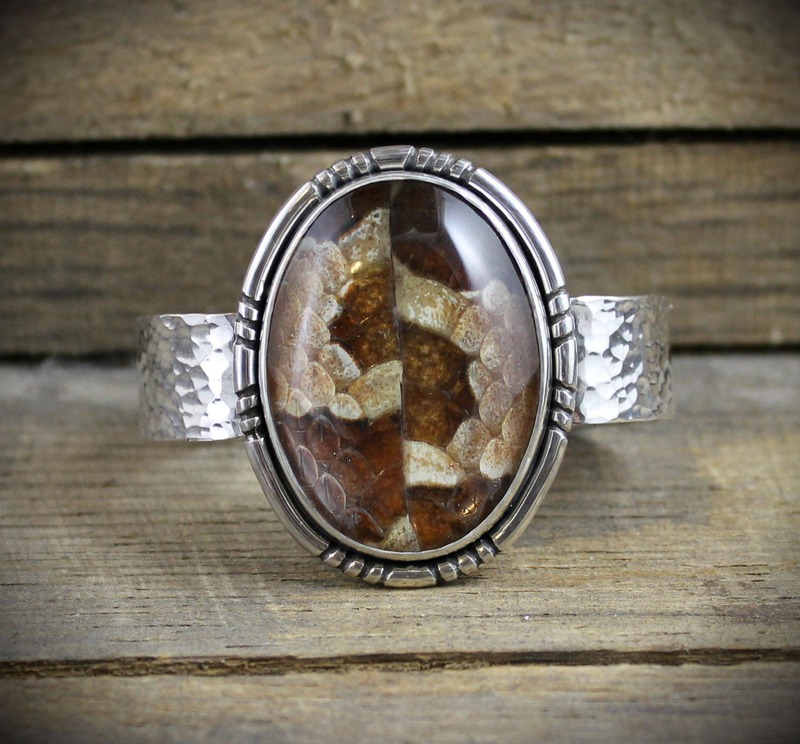 a southwest inspired detail The cuff is comfortable, and has been rustically hammered. This cuff is solid, weighty, comfortable to wear yet substantial feeling, and a very bold statement piece. Dimensions of the snakeskin - 1.60" x 1.20"
This is MADE TO ORDER in my home studio with lots of love!!! Due to the process of made by hand pieces, each one will be slightly different. Please allow for these subtle differences, as it is what makes handmade art truly unique. I love my rings so much absolutely amazing!